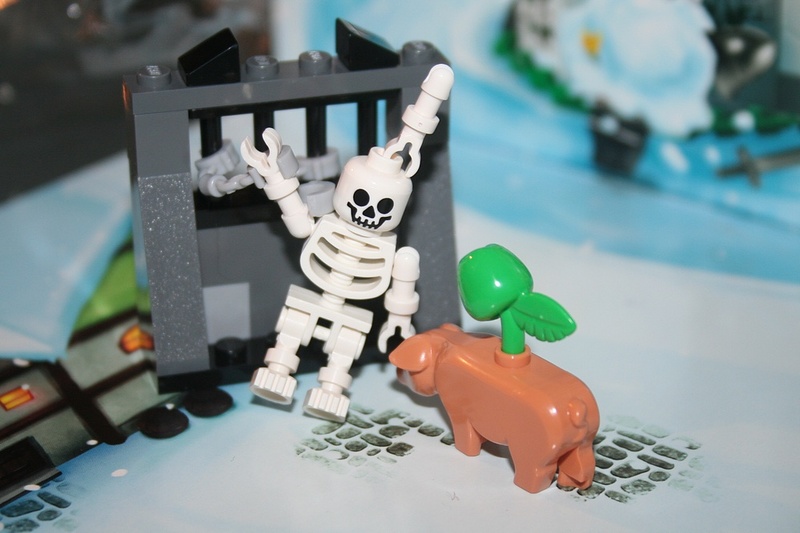 As you have hopefully been following along, the December 2011 calendar above has been marching dutifully onward as we make our way through the Lego Advent set. 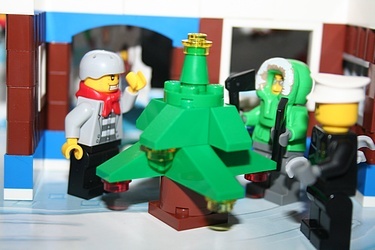 I must say, though, that Lego had better step it up a little in the 2nd half of the month that we begin tomorrow. So far we have a few figures (one of which has double-hatchets and a hooded parka, so ok that's cool), some coffee cups, and a 4-day police station. The station is pretty solid, but it's still taken up four of a very limited set of days and we're hoping for some more wacky, creative surprised before all is said and done. Since we have that station / jail all built (hopefully) let's at least let Gendarme, Thug and Dr. Blair have a quiet moment by the tree.